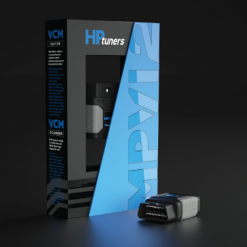 HP Tuners, the home of VCM Suite and the MPVI since 2003. Now enhancing these to new heights with a new feature rich VCM Editor and VCM Scanner, coupled together with the latest generation MPVI2, this is only tuning and diagnostic solution you’ll ever need for your modern OBD vehicle. Whether your vehicle ranges from stock in search for diagnostics or fuel economy or to the serious performance enthusiast seeking every last ounce of horsepower, we have you covered! The almost endless array of digitally adjustments, seamless live logging, diagnostics and tuning abilities with these powerful tools is why we are the industry standard solution.